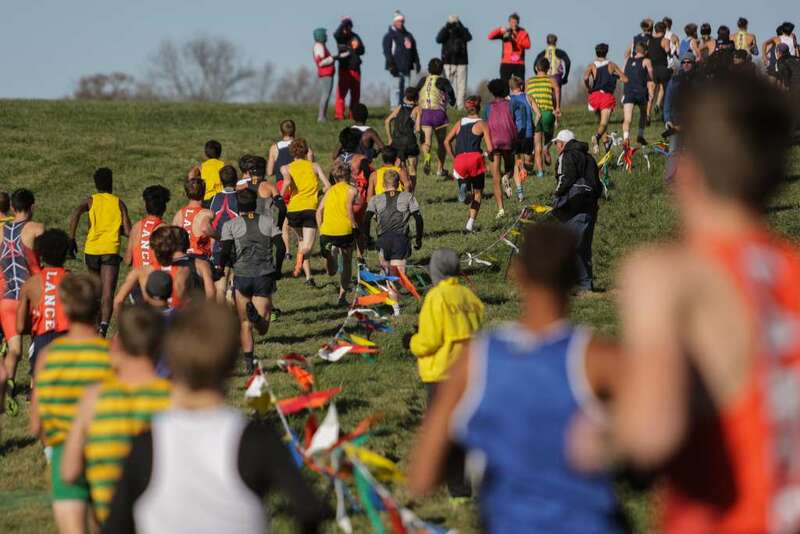 Virginia’s 6A classification saw some of its traditions torn in half, as the traditional Northern Region was split and the Occoquan Region was born from it. 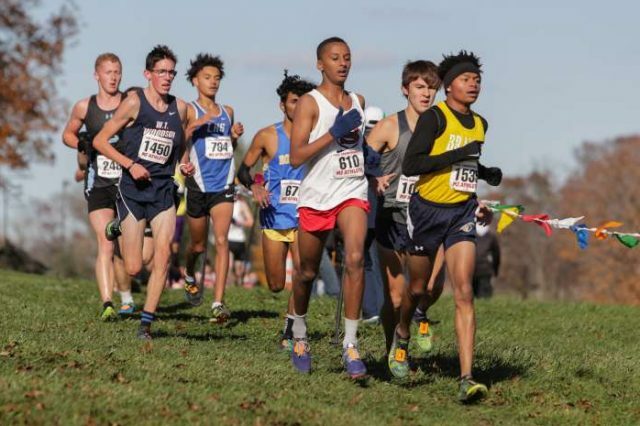 Northern Virginia teams captured state championships in boys and girls 6A (Lake Braddock), girls 5A (Tuscarora) and boys 4A (Loudoun Valley). 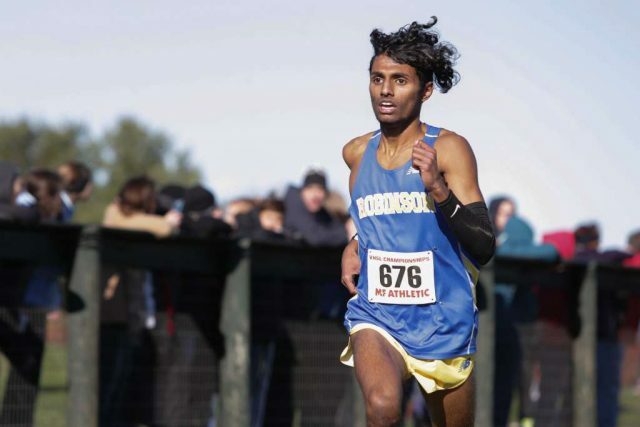 Natneal Asmelash in the Virginia 6A championships. Asmelash’s seventh place finish helped Stuart win the Third Battle Invitational. 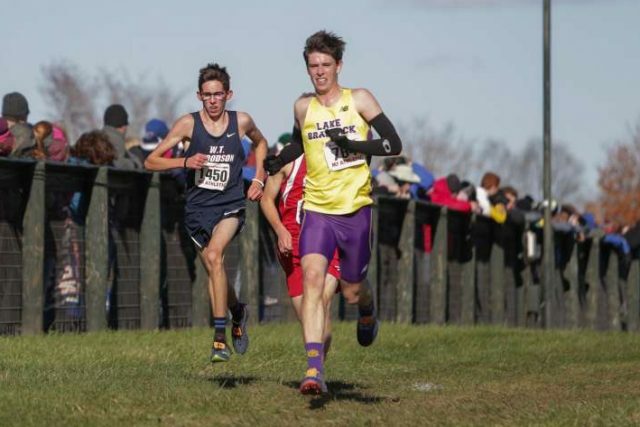 He also finished fifth in the DCXC senior race and 33rd at the state 6A championships in Stuart’s first year in 6A. He prioritized improving his late-race endurance. 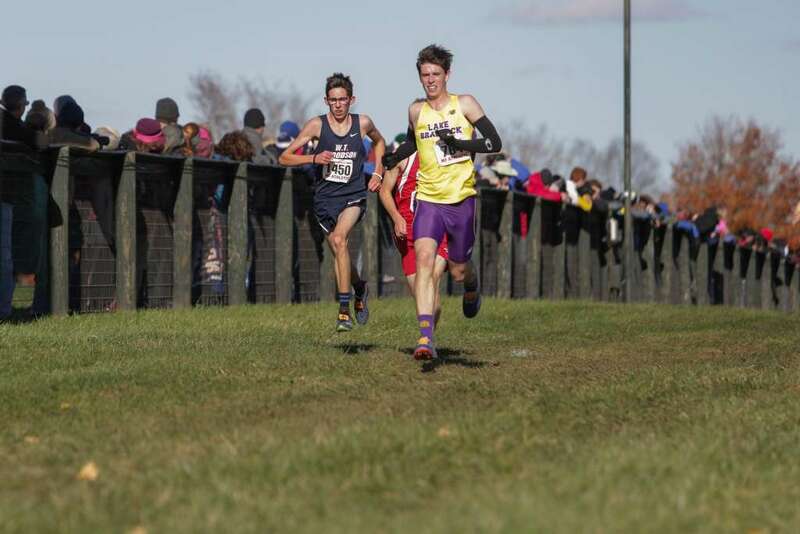 Casey won the Liberty District and finished fifth in the Northern Region before grabbing 11th in the state 6A race. He improved his 5k PR by more than 30 seconds. Sarah Coleman during the 6A state meet. Coleman finished 10th at the Third Battle Invitational to help the Spartans win, and she finished sixth at the 6A state meet. Coach Chris Pellegrini said she learned to read her body and personal “gas tank” to figure out how to race her best. 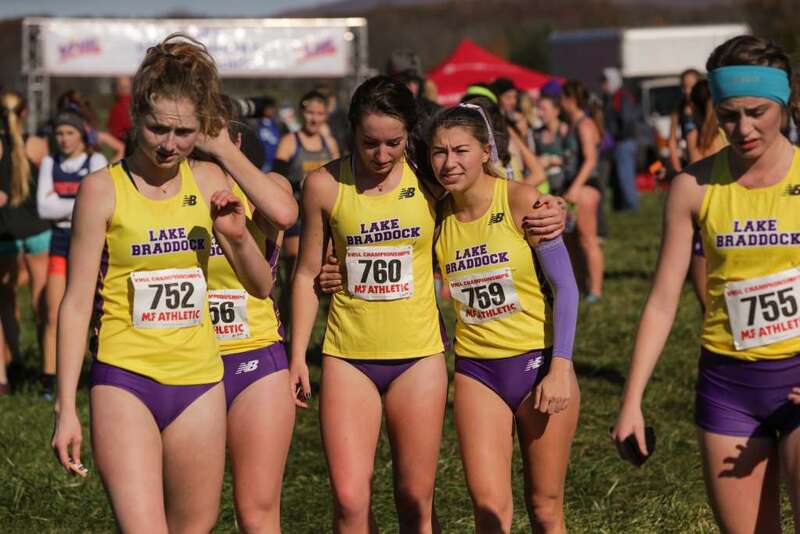 Daniels’ sixth place finish at the state meet led Lake Braddock to its third straight 6A team title. She also finished second at the Keyser Invitational in Maryland and 19th at the Desert Twilight festival in Arizona. 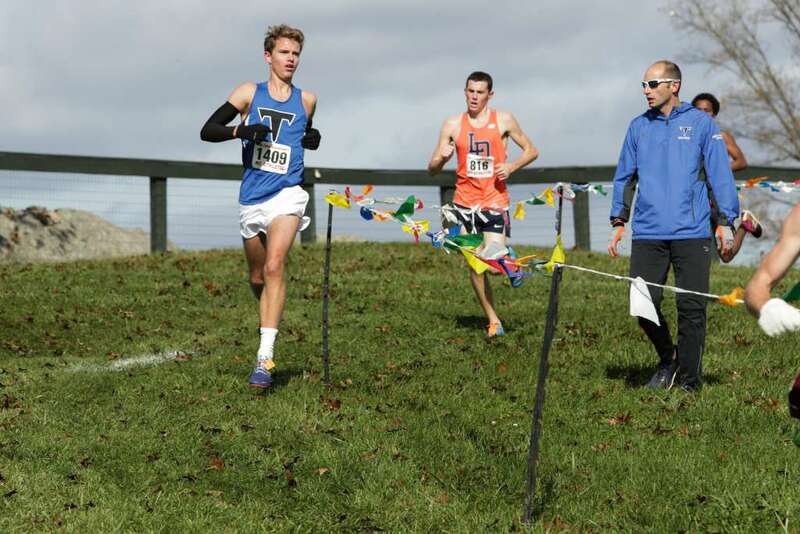 Delvecchio’s race at the 6A state meet, where he finished seventh, allowed the Bruins to retake the team title. 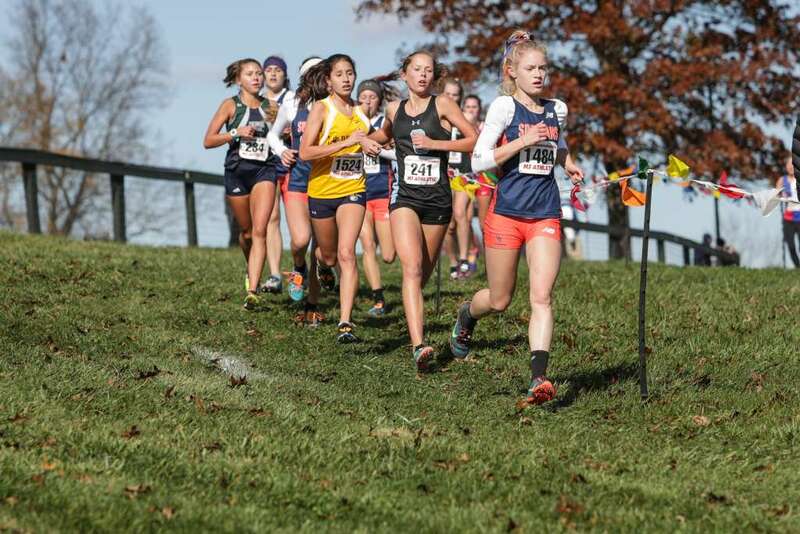 Fetterolf’s quick adjustment to high school cross country gave the Vikings a strong number two behind Natalie Morris. 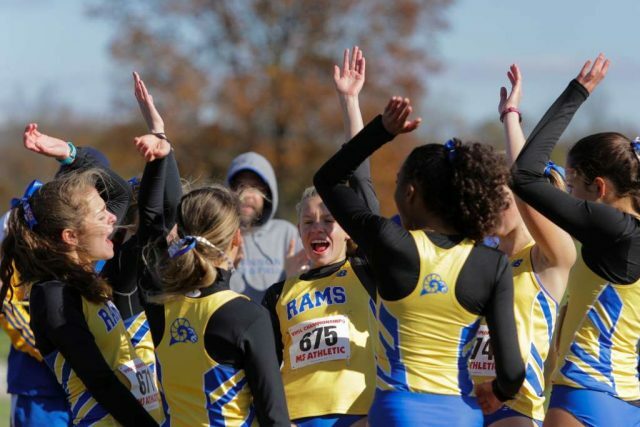 Her highlights included at fourth place finish at the PTXC Invitational in Pennsylvania, ninth at the Oatlands Invitational and fifth at the 4A state meet. Isabelle Gulgert on her way to a ninth place finish at the Virginia 6A championships. 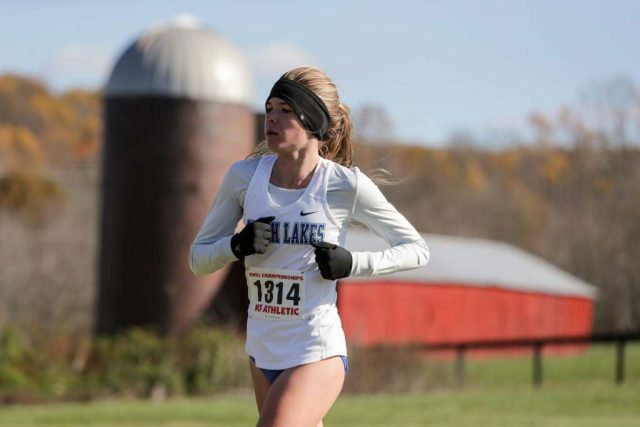 Gulgert was the Liberty District runner up and third in the Northern Region before finishing ninth in the Virginia 6A championships, and that all came in a season during which she dropped her 5k PR to 18:48, after topping out at 20:12 a year before. Zach Holden at the end of the Virginia 6A race. 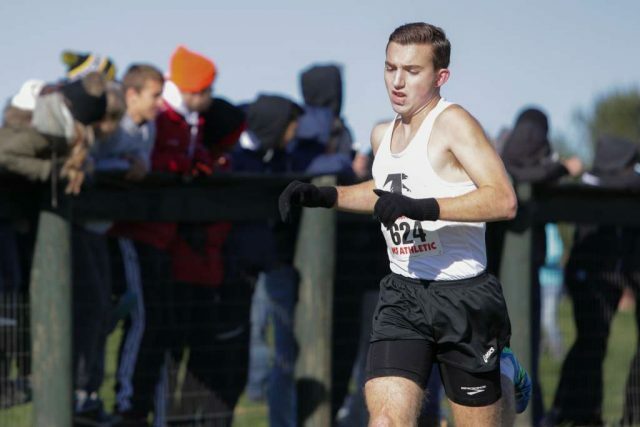 Holden kicked off the season by finishing fifth at the Monroe Parker Invitational and remained consistent as the season went on, finishing third in the Concorde District, sixth in the Northern Region and 10th in the 6A state race. 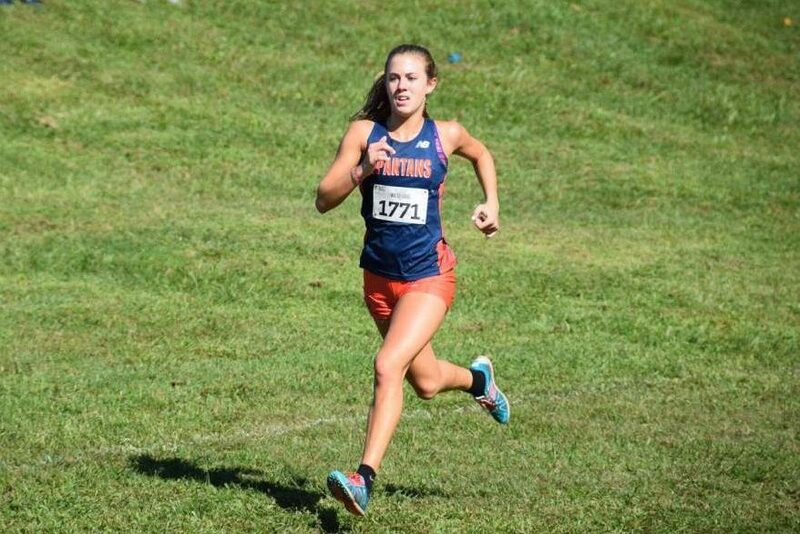 Kappeler was West Springfield’s most consistent runner, and Coach Chris Pellegrini said, and she learned her “off day” wasn’t far from a great day. 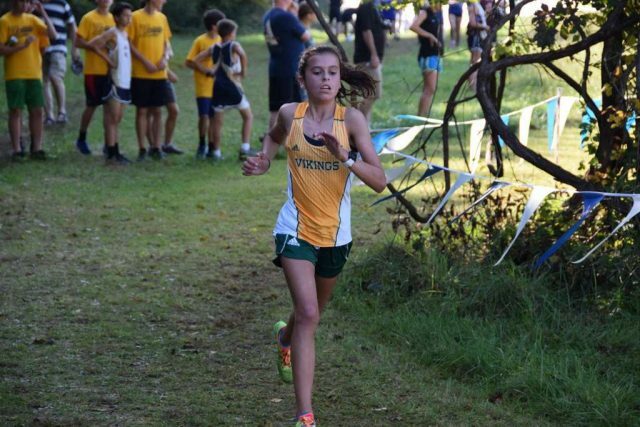 She finished 12th in the state 6A race, third in the Occoquan Region and 12th at the Third Battle Invitational. 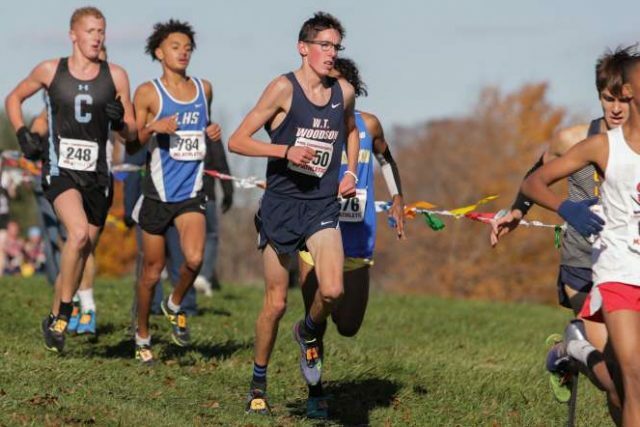 Leech has not yet broken 10 minutes in the 3200 meters, but that didn’t stop him from finished eighth in the state 6A championship after finishing just 11th in the Occoquan Region. Coach Dave O’Hara called him one of the most prepared runners he’s ever had, owing in large part to the miles he put in over the summer. Silas Matthew at the end of the Virginia 6A state meet. Mathew finished second in the Patriot District and the Occoquan region before grabbing 15th in the Virginia 6A championships. 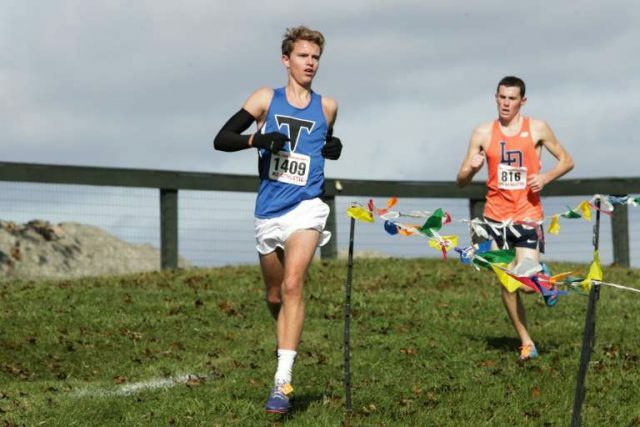 Ben Nibbelink in the Virginia 5A championships. 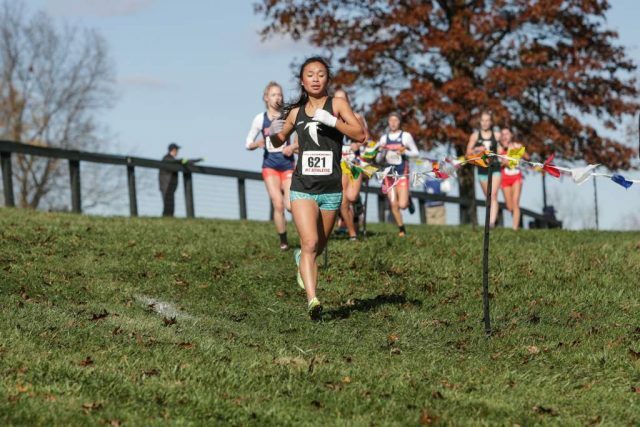 Nibbelink interrupted the Loudoun Valley pack at the Loudoun County Championships, finishing fourth, and ended up sixth at the 5A state meet. He will run at Virginia Tech. Seneca Willen (center) leads the Robinson Rams in a cheer before the Virginia 6A race. Willen won the Patriot District title and finished eighth in the Virginia 6A championships. Elizabeth Wu during the Virginia 6A championships. 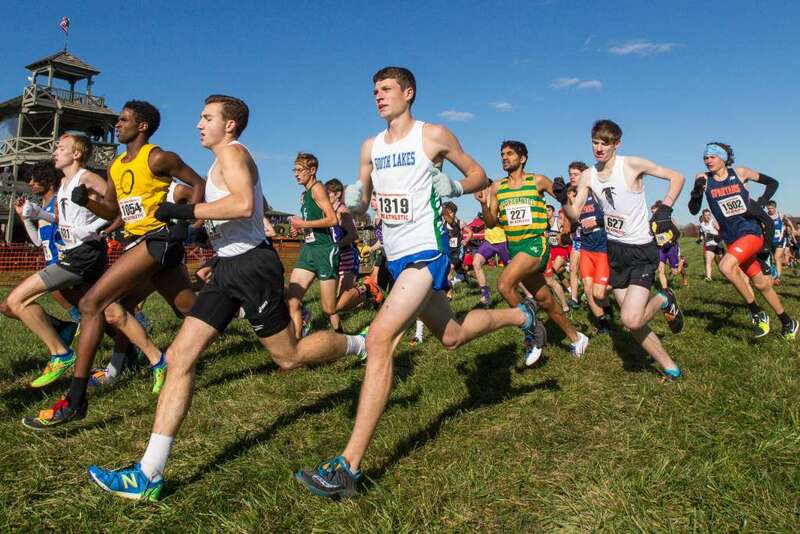 Wu finished 31st at the Great American Cross Country Festival and 11th at the Virginia 6A state meet.